This is the second part of a 3-part series on an extensive piece of research on social and environmental impact reporting. To view the first part of this series on ‘The state of social and environmental impact measurement and reporting’ please click here. In this part, we give an overview of the key organisations in the sector and the different frameworks, methodologies and approaches designed to measure and communicate social and environmental impacts. The Natural Capital Protocol Toolkit  contains information on 59 different frameworks, guidelines, methodologies and online tools developed for natural capital measurement and valuation. Well-recognised international organisations and consultancy firms such as PwC, Deloitte, EY and Accenture have developed their own frameworks and guidelines on how to approach social and environmental impact measurement. The frameworks detailed below assist companies in defining the scope of their impact assessments, setting their objectives and delivering meaningful and consistent results. 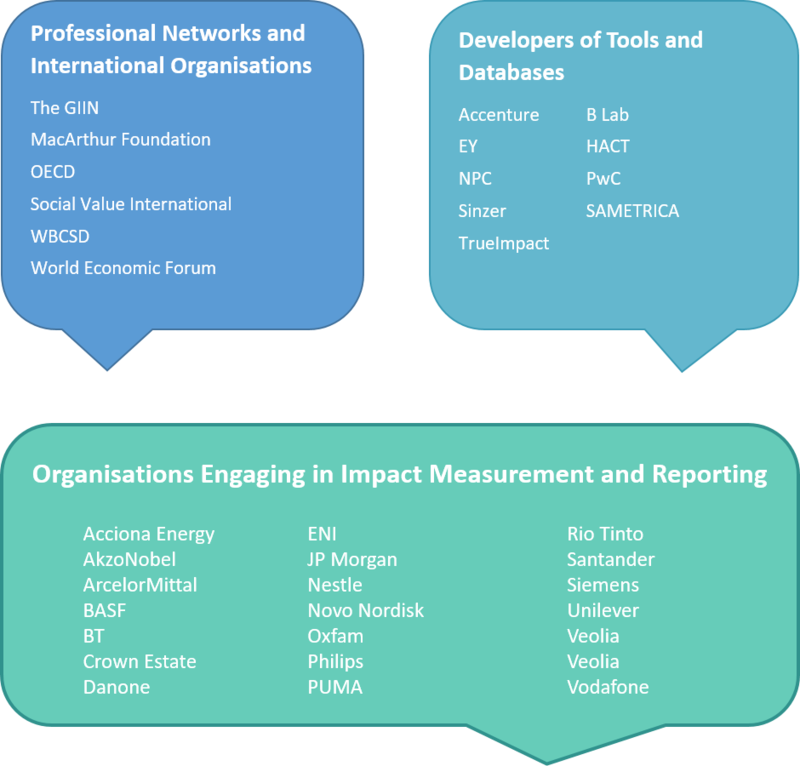 These frameworks don’t necessarily indicate which specific methodologies should be employed to analyse impact data, but they do aim to provide companies with clear standardised processes related to impact reporting. Please note that there are various other frameworks available for companies that are not listed here, but this section details the most commonly referenced frameworks. Natural/Social Capital Protocols developed by WBCSD  - WBCSD describe their Social Capital Protocol as ‘a consistent process to guide companies in measuring and valuing social capital’ and ‘a framework for collaborative action towards harmonized and standardized approaches’. Total Value developed by EY  - By combining existing knowledge and lessons learned from diverse experiences around the impact sector, EY have developed a seven-step approach that helps organisations to frame, scope and execute their impact measurement and valuation. TIMM developed by PwC  - Total Impact Measurement and Management (TIMM) has been developed by PwC to provide a comprehensive framework for businesses to understand and assess the various impacts that they have on their stakeholders and on natural ecosystems. Four pillars by NPC  - NPC defines their four pillar approach as a process that allows charities to build an effective framework for impact measurement. By applying this approach, NPC believes that organisations can provide results that are understandable, material and conveyable. Theory of Change  - Theory of Change explains how inputs and activities are linked with your outcomes and end goals through creation of a conceptual map. In some literature, theory of Change is also defined as impact pathway. Social Value Principles  - Social Value International have developed a set of principles as a foundation that can be applied by organisations that want to improve their decision making and expand their understanding of the value that they create. According to the Social Value network, these principles are developed around the acceptable social accounting principles. 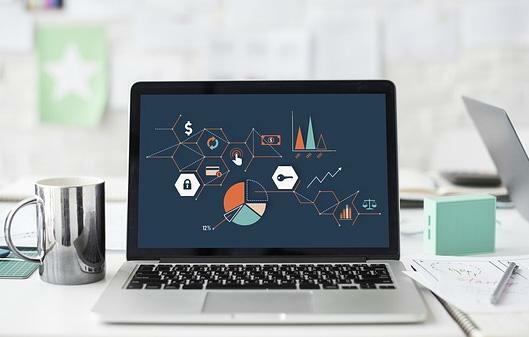 Within the frameworks mentioned above, certain methodologies are used to evaluate data, with the aim of measuring and placing a value (monetary or otherwise) on its impact. This enables organisations to communicate their impacts both internally and externally, and to provide comparisons of the impacts of different projects or investments. Organisations develop their own or use widely accepted methodologies, which are the combination of various valuation approaches and datasets. In this section, we provide examples of the two most commonly used methodologies in the impact sector. Valuation approach – mixed approach which aims to monetise social impacts and provide an indication of the added social value (or social return on investment) from projects, programmes and investments. Traditionally, SROI applies both qualitative and quantitative approaches to gather necessary information for calculations. Skills required – experience of engaging stakeholders and basic accounting skills. The SROI methodology was first developed in 1996 by the Roberts Enterprise Development Fund for economic evaluations and financial return on investments assessments . The methodology has since been standardised by Social Value UK , and developed to integrate the wider social, economic and environmental dimensions of impacts. As described by the UK Cabinet Office, SROI is used ‘for measuring and accounting for a much broader concept or value; it seeks to reduce inequality and environmental degradation and improve well-being by incorporating social, environmental and economic costs and benefits’. Valuation approach – mixed approach with the aim to monetise the environmental impacts of an organisation throughout its value chain. A financial value is placed on the changes to the environment (measured across impact areas like GHG emissions, water consumption and pollution and land use) as a result of the organisations activities. Skills required – experience of engaging stakeholders, knowledge of ecosystem services valuation techniques as well as basic understanding of ecological footprint and LCA. Environmental P&L is a methodology developed by Kering, PwC and Trucost  and used initially with Kering’s PUMA brand, which has since been rolled out to its whole portfolio of brands. EP&L measures and monetises impacts of the businesses’ activities on the environment. It accounts for positive and negative externalities taking into consideration the ecosystem services a company depends on and the environmental costs of direct and indirect impacts. PUMA defines the EP&L as “the amount to be paid, if the environment billed us for providing clean water and air, restoring soils and the atmosphere and decomposing waste”. The methodology has been developed around ecosystem services valuation and other environmental and natural accounting techniques. Each of the methodologies mentioned use different approaches, or a combination of approaches, to value impacts. These vary depending on the type of data being assessed and the intended audience. There is a distinct difference between impact measurement and valuation tools. While frameworks and methodologies help you to understand where and how to begin your impact measurement and valuation, approaches provide more specific details on how certain impact value should be calculated. Methodologies can be the combination of different approaches. Frameworks, such as impact pathways or ‘theories of change’, are critical to help define the most significant impacts, boundaries (organisational, geographic and temporal), receptors of impacts and the interdependencies between them. Stakeholders are key players in helping to define the materiality of your impacts. Impact data should be reliable, material and when possible, consistent and comparable as well as account for both positive and negative impacts. Whichever tool organisations choose to employ, they should be transparent about the data sources and methodologies applied. Organisations should not limit themselves to specific frameworks, methodologies and valuation approaches. Impact measurement and reporting should be considered on a case by case basis for different projects, programs, investments and activities. In part 3 of this blog series we will cover ‘The business response to impact measurement & key conclusions’. Subscribe to the blog to receive email updates.